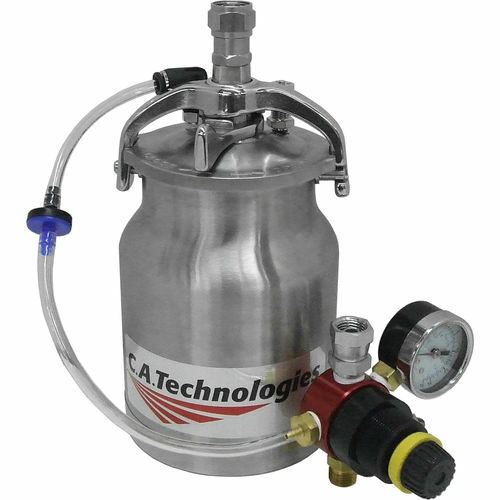 The 51-303SS-R2, 1 quart pressure cup and regulator is perfect for small painting jobs that require precise fluid control. The cup is all stainless steel and has a one way check valve to prevent fluid from traveling back up into the gun or regulator. This cup comes with a by-pass regulator for accurate control of cup pressure. 10 psi. max.